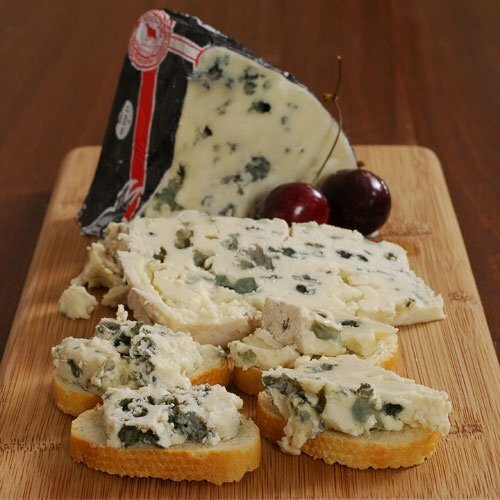 Roquefort - 3 lbs by Chantal Plasse at Smokey Robinson Foods. Hurry! Limited time offer. Offer valid only while supplies last. Roquefort, the beloved mold-ridden blue cheese from sheep's milk, is made from the milk of sheep that feed on the vast plateau found in the Aveyron. Roquefort, the beloved mold-ridden blue cheese from sheep's milk, is made from the milk of sheep that feed on the vast plateau found in the Aveyron. Its ripened in natural caves under the village of Roquefort-sur-Soulzon, damp, airy caves that age the cheese to perfection. The texture of Roquefort is dense but at the same time slightly crumbly, which makes it perfect for salads. The texture is buttery with blue veins of mold extending to the edges. The smell has a subtle register of sheep's milk. It has a rich, complex flavor, a bit salty, and a nice creaminess. A French affineur that took America by storm during the 80s and later took over her father's French operation, Chantal Plasse specializes in French traditional cheeses, while constantly innovating and creating new delicacies, both in America and in France. If you have any questions about this product by Chantal Plasse, contact us by completing and submitting the form below. If you are looking for a specif part number, please include it with your message.